"We are delighted to welcome Terry as our new Operations Manager for Ocean Freight. This is an important role to the continued success of SBS Worldwide and I know his experience will bring innovative ways to improve and maintain our high levels of customer service." 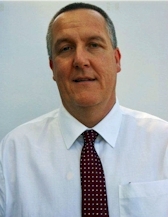 20 June 2013 -- SBS Worldwide has appointed Terry Percival as Operations Manager of its Ocean Freight Division, based in Dartford, UK. He has worked in the shipping industry for more than 35 years, most recently with Logistics Plus UK Ltd. He started as a messenger delivering documents by hand to vessel masters in London Docks, HMRC and shipping companies. During his time managing ro-ro vessels for Bank Line, a division of Andrew Weir, he used to spend three months a year in the South Pacific negotiating shipping contracts for copra, coffee, coconut and vegetable oils. Mr Percival will support Martin Carter, General Manager, Ocean Freight, while working closely with team managers to deliver quality and service to customers as well as driving growth. Mr Carter says: "We are delighted to welcome Terry as our new Operations Manager for Ocean Freight. This is an important role to the continued success of SBS Worldwide and I know his experience will bring innovative ways to improve and maintain our high levels of customer service." 'SBS Worldwide's central tenet is to ensure that its operations provide the highest quality of Freight and Supply Chain services throughout our privately owned company.